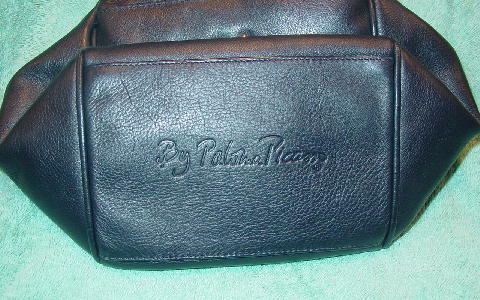 This soft dark navy blue leather purse is a By Paloma Picasso and was made in Italy. 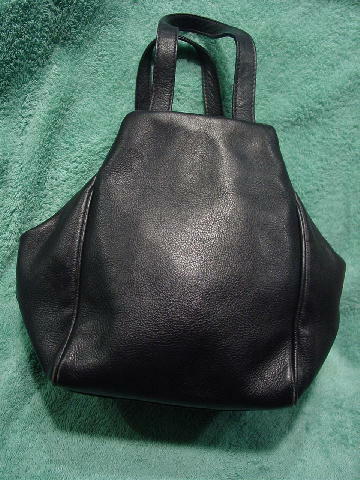 It has two 14" by 5/8" hand straps and a front to back center zippered opening with a logo gold-tone metal pull. 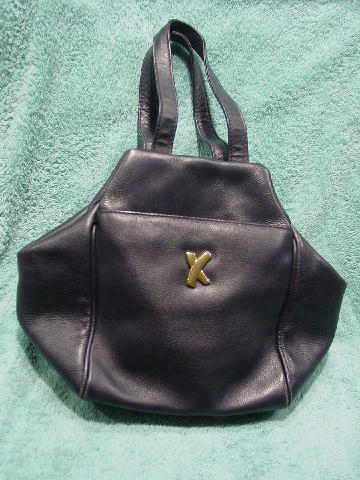 The interior has a thick black lining with a tone-on-tone design of X's and By Paloma Picasso all over it. There is an interior open pocket with a large gold-tone metal tag with an etched By Paloma Picasso Made In Italy on the front. 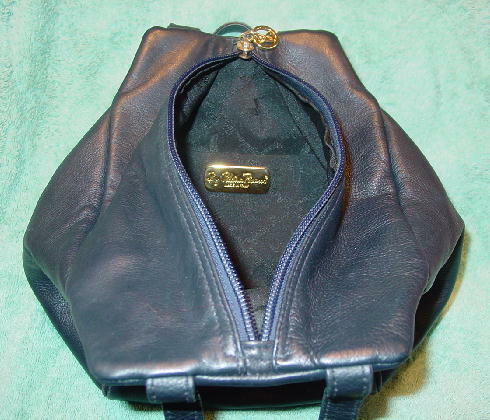 The front has a large open lined compartment with a gold-tone metal logo on the front. On the bottom in etched letters is By Paloma Picasso.